GEORGETOWN RUNNING CLUB: Victory @ St. Pats !!! 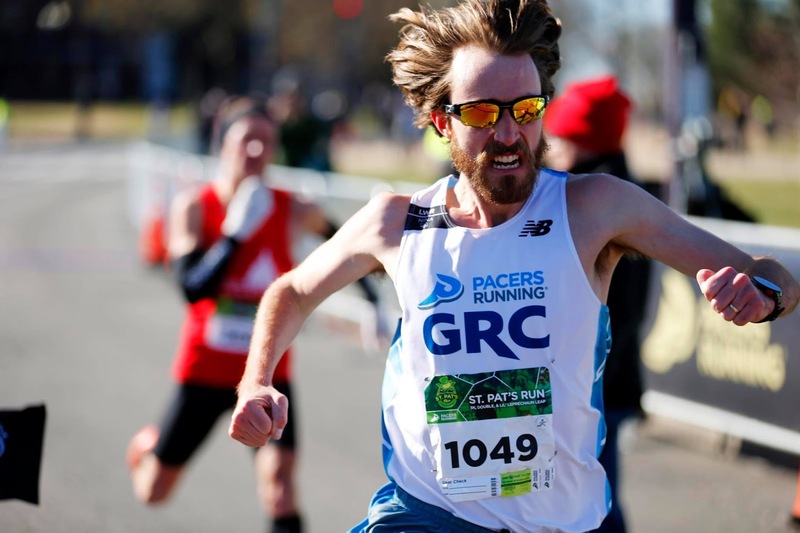 Pacers//GRC-New Balance men turned out and crushed the competition at the St. Pat's day 5K/10K on Sunday! Coach Jerry was very pleased, and noted that Jerry "Outlaw" Greenlaw had the performance of the day, outkicking the competition to win the men's 10K in 31:46. Meanwhile, Kyle Wagener also ran an extremely strong 20 second PR (!!!) to finish 4th overall in the men's 10K in 32:34. In the 5K, Graham Tribble ran a strong race for second place (15:22) in his first race under 26.2 miles in quite some time, and Luk also ran well in his first race since returning from injury (10th overall in 15:49). Strong performances from Cabell, Michael Palmisano, Charlie Ban, and Balmer rounded out the day and resulted in a deep and dominant performance from the squad.